Every Miniature Schnauzer needs a special place to rest their head. A comfy place that's all their own. And while it may appear that a dog can go to sleep just about anywhere, most dogs prefer a particular place they like to curl up into where they feel comfortable, safe and secure. Your Schnauzer's bed is one of the most important accessories you provide for her. After all dogs sleep half the day away. So you'll want to make sure the bed is comfortable, provides your dog with enough support and cushion to protect their body's bones, it should not be too large or too small, durable, and should be easy to clean. You can find great dog loungers and beds to buy from your local pet store or you can shop online for one. 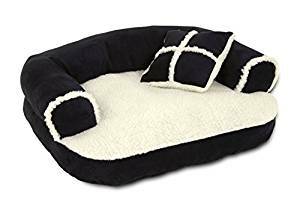 Amazon for instance, has a large assortment and great deals on doggie beds, just like the stylish Petmate Sofa Pet Bed with Pillow shown here. But for those of us who like to craft (and save money) a homemade dog bed just might be the answer. In fact, you could make several of them for different rooms of your home and/or to have when traveling with your dog. The dog bed projects below are all simple to do, fun to make, and you can make one for just a fraction of the cost of many store bought beds! Plus you have the satisfaction of making one yourself and with so many fabric choices you can personalize it however you like. Give it a try! 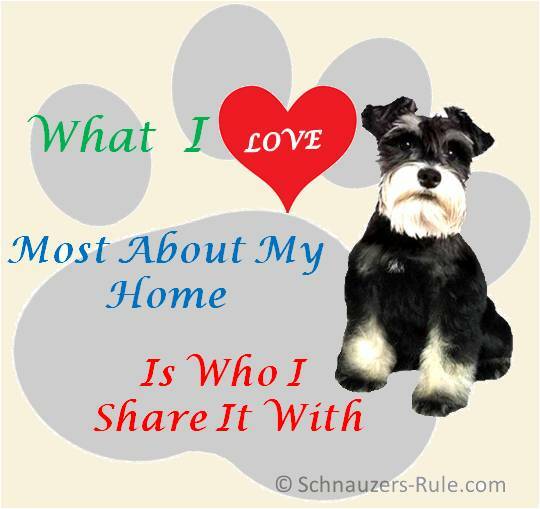 Your Schnauzer will love you for it. Arrooo! Next, buy enough fabric of your liking - choice of pattern, color, and material type, to cover the entire area of both pillows completely, about 2 yards. Now fold the fabric in half, wrong side out. Sew across the bottom and along one side, leaving about 6 inches from the end. You should end up with what looks like a pillow case with flaps. Turn the fabric inside out. Insert your pillow and tuck in one flap. Mark a good spot and attach your velcro tabs. Remove the pillow and attach the velcro tabs onto the marked spots of the flaps. Re-insert your pillow. Secure flaps. And that's it! Fabric: Dogs love the feel of soft fleece and fabric stores have a huge assortment. It's durable, inexpensive, provides warmth, and easy to clean. Option for filling: Instead of sewing 2 pillows together, you could sew 2 pillow cases together. Just remove the stitching down one side of each case and then sew them together. This will create one large pillow case. Sew the open end half-ways. Stuff the pillow case with polyfil and then finish sewing to secure stuffing inside completely. Now you have one big pillow to finish with the project. Cleanings a breeze: When you need to clean your dog pillow bed, simply pull open the velcro, remove the pillow inside and wash the case! Easy-Breezy! 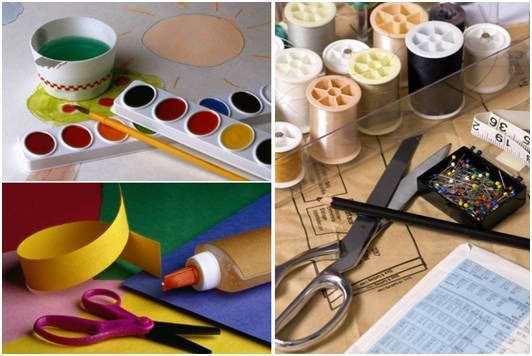 Get the best deals on all your sewing and craft projects and all at the same place... AMAZON Arts and Crafts - For a great assortment of fabrics and other accessories to make all your dog craft projects! Miniature Schnauzers love to burrow. 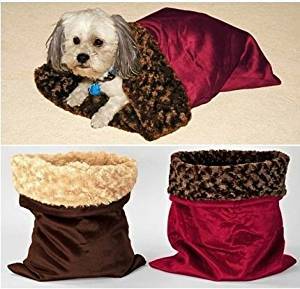 So how about making a comfy snuggle sack for your dog? The design instructions are basically the same as the instructions used above to make the pillow bed. You can make your snuggle sack as big as you want but use enough material for a 27 inch opening and long enough for your dog to crawl all the way inside. Sew a hem across one end of your fabric. Fold your fabric in half, wrong side out, and sew across the unhemmed bottom and along the side. Turn the fabric right side out. You should have what appears to be a very large pillow case or sack. 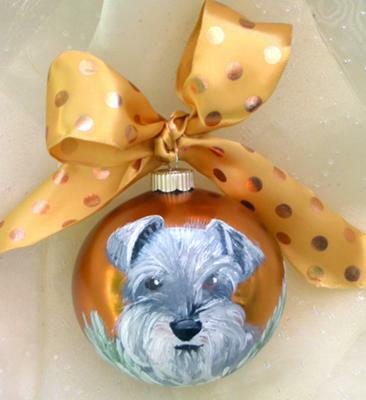 Your Miniature Schnauzer now has his very own hide-away! Pointers: You will want to make sure to choose super thick, plush fabric or use a faux lambs wool shearling or plush towels sewn onto the wrong side of fabric to offer stability and extra thickness to the snuggle sack. If your dog bed has a removable cover, simply remove and wash it on a regular basis. Do not use detergents with harsh ingredients or perfumes which might affect dogs with skin issues or allergies. Instead use hot water and mild detergent. If you like add a half cup of baking soda to the wash cycle, too. vacuum and/or shake it out often. cover it with towels or a fleece blanket that you can throw in the wash when necessary. sprinkle baking soda on it once a week to kill any odors. don't allow your dog to chew on sticky treats like bully sticks while in his bed. Got a craft project or idea you'd like to share with us? We'd love to here it! Just fill out the Dog Craft Projects form.